Send your 1 partner at least 50 used postage stamps. Can be on or off paper. 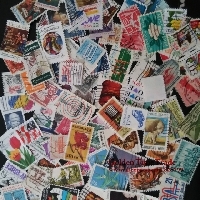 Send good quality, no ripped or torn or partial stamps.